The new color is Techno Gray by Sherwin-Williams. A new home feels like home when you add your color. The accent wall down the stairs is Virtual Taupe. The other walls are Accessible Beige by Sherwin-Williams. The pictures don’t do this justice. This color is Bambo Shoot by Sherwin-Williams. It made such a difference. The room felt so much more inviting! This wallpaper is not a teen girl’s first choice for decor! The new paint color is Jack Frost by Benjamin Moore. It pulls out the color of the accent tile. These walls were a sage color. 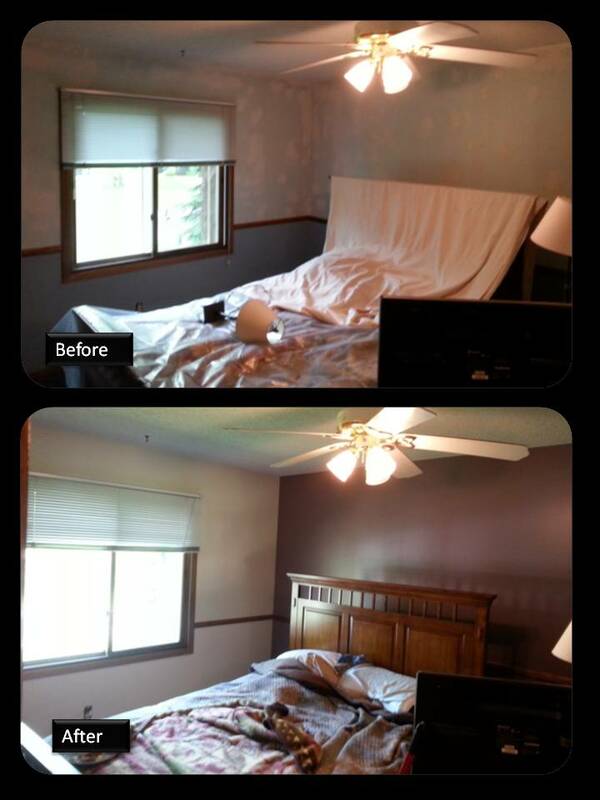 Now they are Gray Screen by Sherwin-Williams. Now the walls are Minute Mauve accented with Enigma. 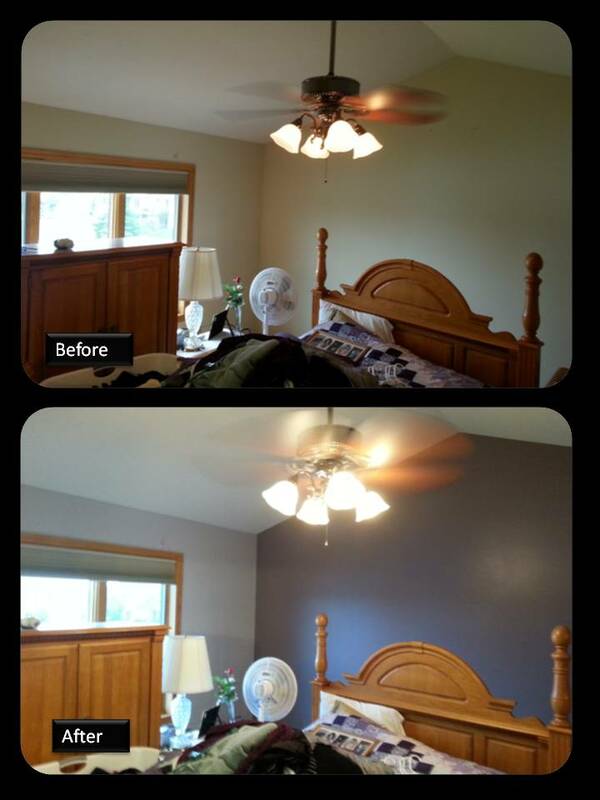 Colors by Sherwin-Williams. Now it is Muslin accented with Cinnamon Slate by Benjamin Moore.